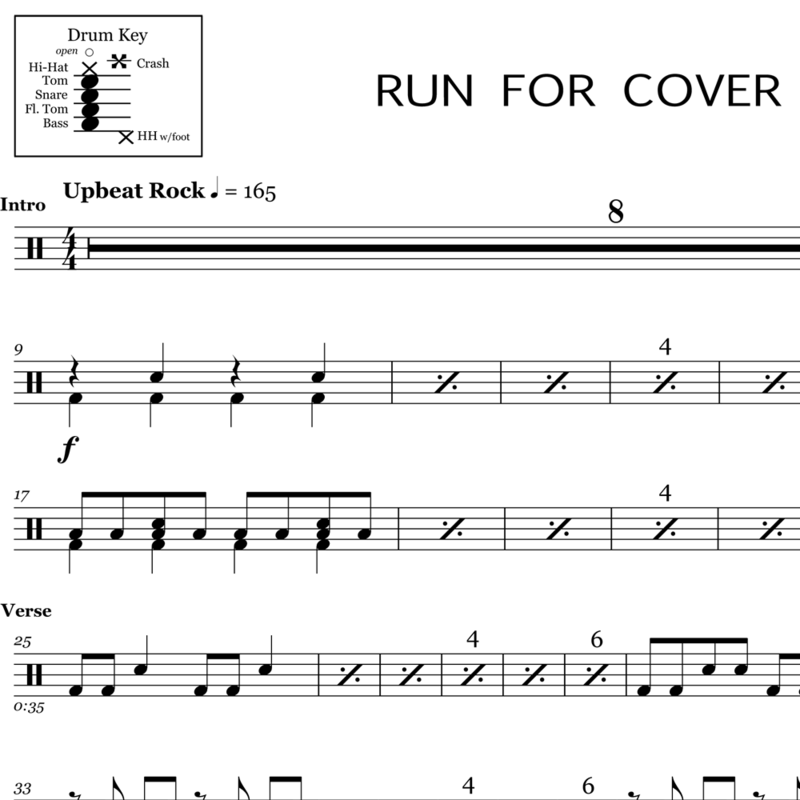 The full drum sheet music for “Mr. 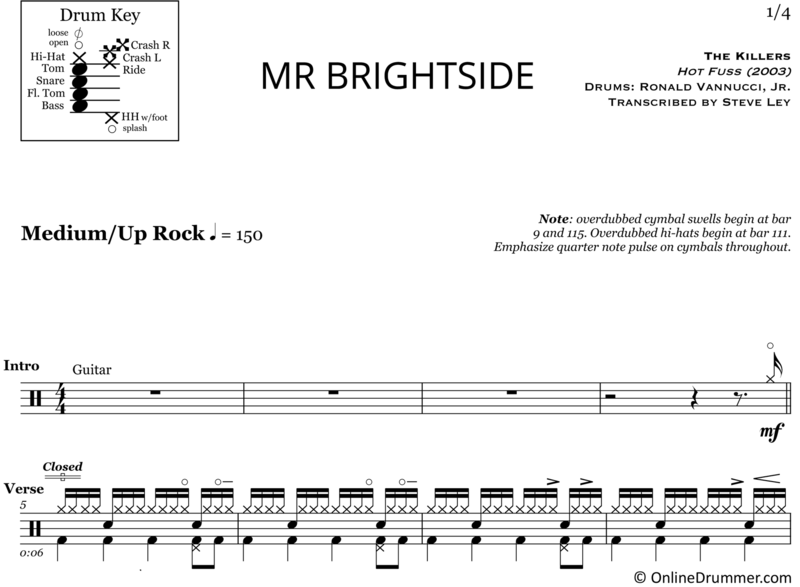 Brightside” by The Killers from the album Hot Fuss (2003). 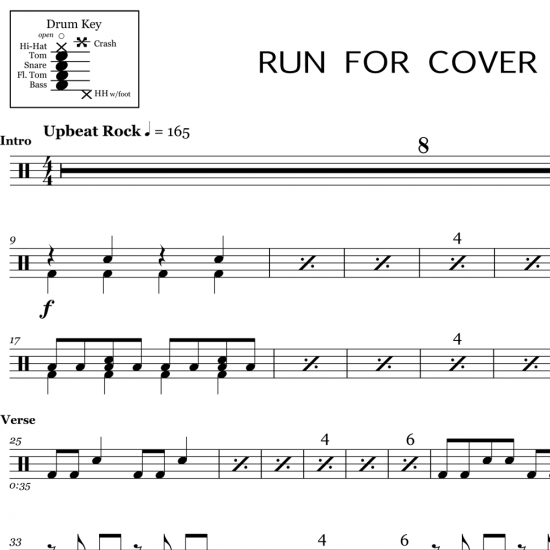 Ronald Vannucci uses an up-tempo, energetic, alternating sixteenth-note pattern on the hi-hat. A lot of drummers would be content to leave it at that, but Vannucci’s added hi-hat dynamics make this groove breathe. These articulate techniques are great for anyone to learn at any speed. Take lessons from the greats by studying their notes on paper. 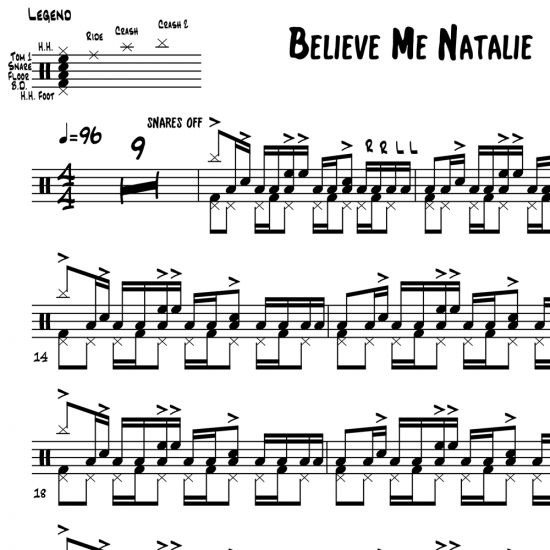 The full drum sheet music for "Believe Me Natalie" by The Killers from the album Hot Fuss (2004).